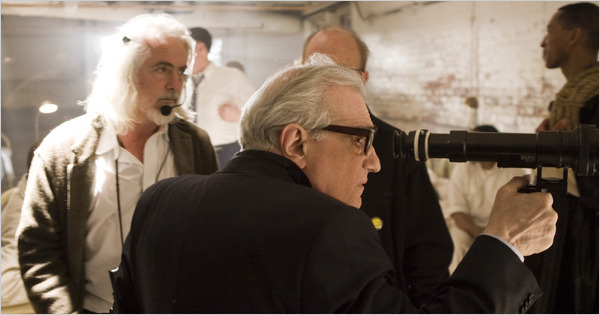 New Scorsese Film By Year End? Titled, “George Harrison: Living in the Material World,” this is Scorsese’s fourth rock and roll documentary beginning with, “The Last Waltz,” which focused on The Band’s farewell concert. This was followed by a look at Bob Dylan in “No Direction Home” in 2005 and most recently and The Rolling Stones concert film “Shine A Light” in 2008. The combination of Scorsese and Beatles has me salivating! This entry was posted in Martin Scorsese and tagged George Harrison, Martin Scorsese, The Beatles. Don’t forget “Hugo Cabret” coming in November. That will be 2 Scorsese films. Thanks for the correction. This only makes the coming fall season that much more enticing! It does not beat 2010 when he had four directing projects out (“Shutter Island”, the first episode of “Boardwalk Empire” and two docs, “A Letter to Elia” and “Public Speaking.”) but it will do. Ever since Scorsese claimed he was slowing down, he seems to have done more than ever! 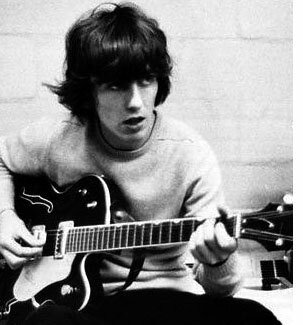 Really looking forward to the George Harrison movie, as I loved the other three rock films you list here. That’s true, Judy. The past few years he has really been on a roll. Hey! This is Nathanael Hood from Forgotten Classics of Yesteryear. It’s almost time for the blogathon. You have yet to specify what day you wanted to post you article for the blogathon. So, I have tentatively signed you up for the 17th. Please email me or leave a comment on my blog telling me that you got this message. If you want to change it, please notify me before noon tomorrow.